5nine last month presented their Hyper-V security and management products at the Microsoft Cloud OS Launch event in Singapore. 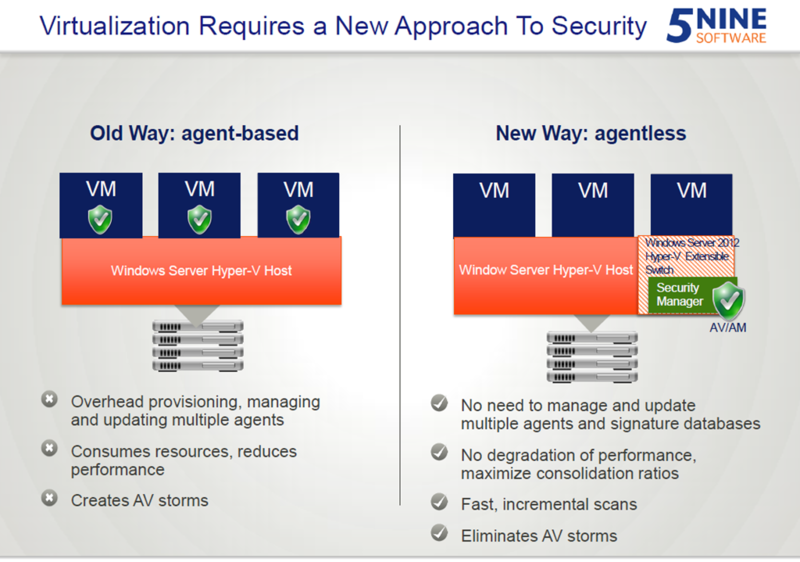 At the time of this writing, 5nine software reportedly is the only vendor that delivers agentless/host-based security and management products for Windows Server and Hyper-V. 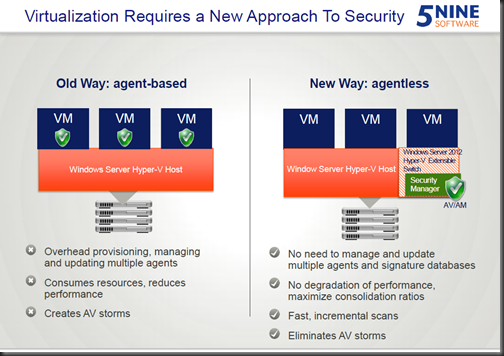 The Beta version of NEW 5nine Cloud Security v4.0 provides full multi-tenant security, advanced user- and roles-based access, new LWF Hyper-V Switch extension, secure network virtualization/VM Security Groups, support of multiple antivirus engines and full use of Windows Server 2012 R2 and System Center 2012 SP1/R2 features. 5nine Cloud Security exists in both System Center VMM plug-in version and as a standalone application.